After the All-Star Game, the league’s Most Valuable Player award was a two-man race between Milwaukee Bucks’ All-Star Giannis Antetokounmpo and the Houston Rockets’ All-Star Guard James Harden. But over the course of the last five weeks, James Harden has created a slight gap and remained an unstoppable offensive force. James Harden is averaging 36.4 points, 7.5 assists, 2.2 steals & 6.4 rebounds. He kept his team in the playoff pursuit early in the season when both fellow teammates Chris Paul(G) and Clint Capela(C) suffered injuries. Harden has wielded the Rockets to a 53-29 record and the 3rd seed in the Western Conference. No, watching James Harden isn’t always pretty, and yes, Giannis is leading his team in every category but blocks, but Harden has had to forge this Rockets squad through critical injuries. Luka Doncic is my pick for Rookie of the Year. We have to award consistency. Yes, Luka has an advantage playing professional basketball in Europe, but many players have that same opportunity ultimately decide to go to colleges like Duke, Michigan St., North Carolina, etc. I get it. Trae Young during the second half of the season has been spectacular. He found his rhythm offensively and is a force to be reckon with. Young, Luka, and even Collin Sexton will grow to have amazing NBA careers. But Luka was a threat since game one of the NBA season. He’s solid offensively and defensively, and a pretty good play-maker with efficient rebounding. Luka is averaging 21.2 points, 7.8 rebounds, 6 assists, 1.1 steals and shooting 45% from the floor. “It’s a team game. The Defensive Player of the Year is the guy that makes his team better. Not only gets stats, it’s the guy that also has an impact on his teammates and leadership,” was what he said just last year before winning his first Defensive Player of the Year trophy. He stuck to this philosophy up to this point of the year and an All-Star snub left him in tears. He felt strongly that defense should be rewarded. In a league where we glorify the three and offensive, Rudy Gobert continues to patrol the paint for the Utah Jazz. He’s averaging 2.3 blocks and ranks in the 8th in terms of player defense in the league and has played all 82 games this season. Rename the award already. Early in the season it was an interesting race between Lou Williams, Domantas Sabonis, and Derrick Rose. But lets be honest, it’s not even close now. The Clippers have been formidable and in sync all season, even after trading away a potential All-Star in Tobias Harris. The Clippers have clinched the playoffs this season behind Lou’s performance this season. Lou is averaging an impressive 20 points and 5.4 assists per game off the bench for a Los Angeles Clippers team in the loaded Western Conference. He also moved into first place on the all-time points list for bench scoring. Lou Williams is the Sixth Man of the Year. 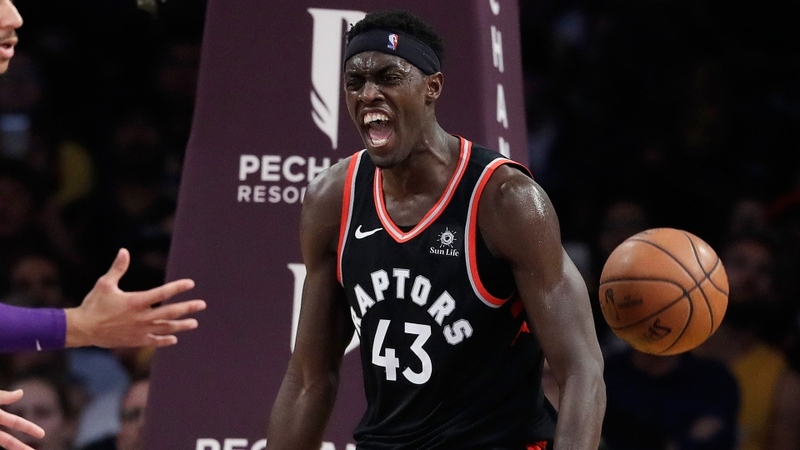 Pascal Siakam and D’Angelo are in a two-man race for Most Improved Player. We know D’Angelo’s story very well. D’Angelo was deemed a distraction to the locker room by the Los Angeles Lakers, due to a Snap Chat video he took of former teammate Nick Young, confessing infidelity. D’Angelo became the only asset deemed worthy of getting Timothy Mozgov’s absurd contract off their books. D’Lo responded by having his best statistical season with the Brooklyn Nets and getting them to their first playoff berth since 2015. But Pascal Siakam has been unreal. In the 2017-2018 he recorded 7.3 points, .5 blocks, 2 assists, .621 FT%, 4.5 rebounds. This season he’s recorded 17 points, .9 steals, 3.1 assists, 78.2 FT%, and 6.9 rebounds. His impact on the floor has been tremendous this season. After seeing teammate’s Kawhi Leonard work ethic, he knew he wanted to develop into a better player for the Raptors. Mike Budenholzer should undoubtedly be named the Coach of the Year. He has risen this young Bucks squad to newer heights as MVP candidate Giannis Antetokounmpo has put up a statistical season resembling that of Shaquille O’Neal at the age of 24. The Bucks have maintained the best record in the NBA for the season and have been firing on all cylinders. This is NOT the same squad Jason Kidd. These Bucks come ready to build from tip-off to the final buzzer. They’re locked in and have the chance to make some serious noise this post season, especially with the absence of LeBron James in the Eastern Conference. Coach Mike Budenholzer also won Coach of the Year with the Atlanta Hawks in 2015. The Bucks rank 1st in Points per Game (117.9), 1st in Defensive Rating (104.8), and 4th in Offensive Rating (104.8).